There is nothing like a good ballet class to put the rest of your exercise training, and your week, in place. It is good for your body and mind. 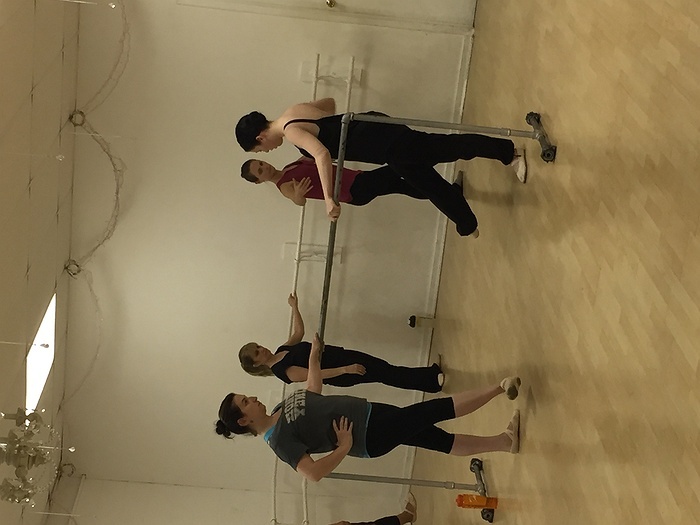 Whether you are a former career ballet dancer or you wish to develop a new skill, this adult ballet class is just the right combination of physical and technical energy. The class is just as good for a beginning student as it is for a seasoned dancer. Core training for every dancer, no matter the age of the student or any other style of dance one wishes to pursue, begins with the fundamentals provided by Classical Ballet. Understand techniques that assist in finding your core abdominals and what dancers call “center”, while tightening and toning your entire body. Our adult ballet program provides an enjoyable opportunity for structured study of vocabulary, musicality, body placement, creative expression and artistry developed from historic classical ballet techniques.